MidSummer Scream is 76,000 square feet of specialty vendors, live entertainment, and immersive experiences with roaming monsters. 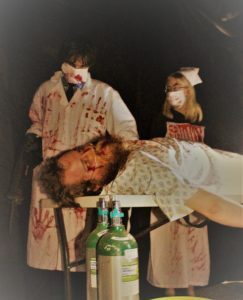 Dozens of on-site Haunted Attractions and Experiences Hundred of Prop, Set and Make-up Vendors Experience Nightmares or Find Inspiration to Create Them. Make plans now to attend this amazing convention July 28 & 29. What lurks in the dark? Do you dare find out? Plan to visit yourown haunt with info gleaned from your visit here at the Long Beach Convention Center for the 2018 MidSummer Scream. What lurks in the dark? Do you dare find out? 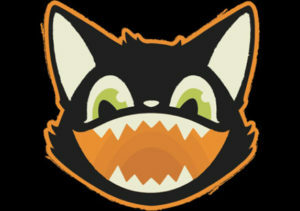 MidSummer Scream is the place to go! 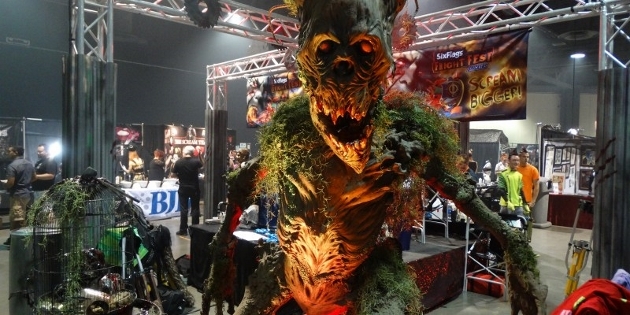 MidSummer Scream freatures 76,000 square feet of specialty vendors, live entertainment, immersive experiences, roaming monsters, the Decayed Brigade slider team, and more than a dozen haunted attractions, the Hall of Shadows is every Halloween fan’s nightmare come true! As show time creeps closer, expect the lineup to grow and change a bit… and when you arrive in Long Beach, the Hall will be waiting – prepare to cross the threshold and step into the darkness beyond!